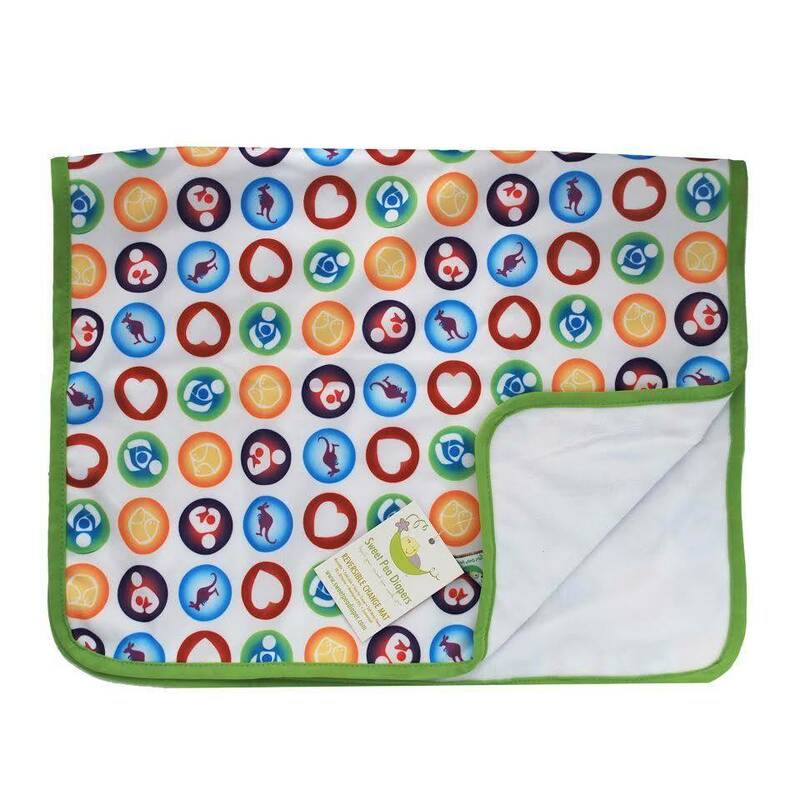 Sweet Pea Cloth Diapers also offers coordinating change mats made with our adorable fabric on one side and a soft micro fleece on the bottom. 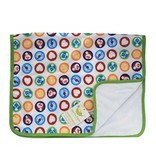 Sweet Pea Changing Mats are awesome!!!! I use them for so much. They actually cover the entire portion of most public bathroom changing tables. So it is nice that the baby/toddler's head and bum are on the mat. Now my newest use is on double shopping carts because I have two toddlers. It fits across and keeps my toddlers from getting a wet bum. I am certain you could use in a single shopping cart, too. I know many use the cart covers, but once you are past that stage or opt not to use one. I have used it at that time of the month for me. It makes an easy blanket cover for small children. I find them practical for many purposes and incorporate them into many uses. I just had one on my toddler because I had to take her out in the car even though she had been sick all morning. Luckily, it didn't get put to the test, but the fact it would have kept her clothes and car seat clean in the event something happened is awesome. If you don't have seat covers and have leather seats comes in handy on a hot day or even a cold one. They are 18x30 inches so it is a generous size. We have put them down when out and used as individual picnic areas for my kids. They are very versatile. They fold easily so they don't take up a lot of space in a diaper bag. If folding isn't your thing, you can stuff them easily, too, since there is no padding. One side is just a soft micro fleece and the other is PUL.